R.J. Tilley is proud to serve the Rockville, VA area with plumbing and remodeling services. 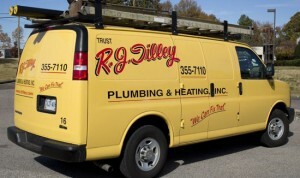 Since 1976, R.J. Tilley has met the needs of central Virginia homeowners with high quality plumbing services. Over the years, our services have expanded beyond plumbing to include kitchen and bathroom remodeling. With a full staff of trained plumbers and carpenters, we can handle just about any job. Trouble with water or sewer lines can be both costly and messy. Let our team of experts diagnose your issues and come up with an appropriate solution to repair your sewer line. Even in the most complex cases, we’ll use video inspection to identify the cause and location of your problem. For over 20 years, R.J. Tilley has remodeled kitchens and bathrooms. As a general contractor, we handle all the details. Complete kitchen and bath remodeling, from floor to ceiling by Richmond’s best Remodeling Contractor. If you’re interested in remodeling your kitchen or bathroom, visit our showroom for design ideas. Whole-house gas conversion, gas fireplace inserts or a new line for your BBQ grill—our team of skilled and certified gas fitters are licensed and insured to serve all your gas piping needs. Let our plumbers fix your leaky faucets, shower heads, or outdoor water spigots. In many cases a leaky faucet can be repaired, saving hundreds of dollars compared to a costly fixture replacement. If needed, our team can install new fixtures for you – whether the replacement is needed due to failure of your old fixtures, or you’re just upgrading to improve the look of your plumbing fixtures. We understand that the comfort and safety of your home relies on efficient, properly maintained systems. Whether you need an emergency repair, installation or maintenance, you can count on us! 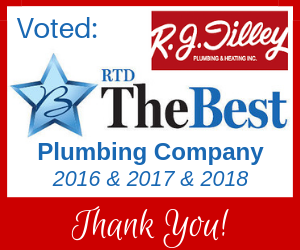 Thanks to you for helping us earn a reputation as one of the best plumbers in Richmond, VA. Read some of our online reviews to hear what our customers are saying! Contact R.J. Tilley today—we look forward to serving all your plumbing, heating and remodeling needs!